It’s the last Thursday in June, which means this is the last post for the Contentment Challenge! What the what? Where did the time go! For those of you who have joined me the past three months, thank you. I hope this season of no shopping has meant as much to you as it has to me. Please continue to use the hashtag on Instagram as we continue to live life with a new refreshed perspective! 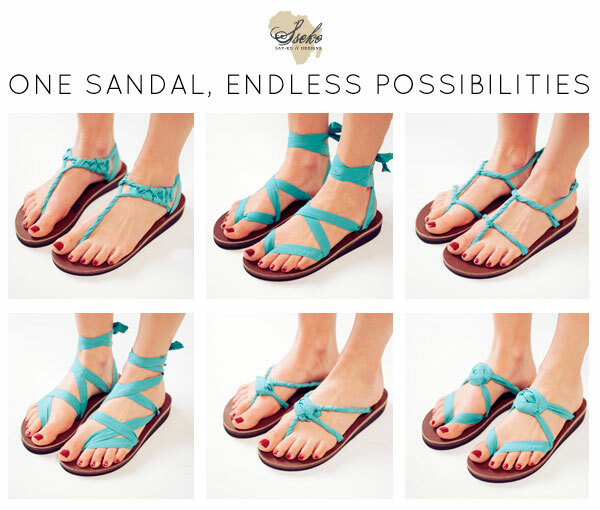 To celebrate the completion of the challenge, I am giving away a pair of Sseko Sandals! Please take a few minutes to watch their amazing video below. What an incredible company. I learned about these sandals on a recent trip to Nashville, and I decided that this would be the first purchase I’d make when the challenge was over. (I tried them on in the store and really wanted to buy them because they were very, very comfy!) So, one for me and one for you! I’m excited for this meaningful, responsible, well thought out, non-impulsive purchase that brings much joy to my heart, that brings purpose and provision to the lives of real women, and hopefully that will bless you as well. Not to mention – it’s just in time for summer! 1. Leave a comment describing the most inspiring / meaningful aspect of the Contentment Challenge in your life (whether or not you participated in it). Also be sure to include the links to your social media (below) in the comment as well. 2. Instagram a photo of anything in your life having to do with the Challenge (whether it’s Target because you missed it, a good book you read, or your new organized closet) and include the hashtag #contentmentchallenge. Be sure you leave a link to my blog and mention the giveaway in your comment! WINNER WILL BE ANNOUNCED ON JULY 1! High fives, y’all. Here’s to better decisions, less shopping, more adventures, less stuff, living responsibly, self control, and better purchases. Here’s to a more fulfilling life! Heya i’m for the first time here. I found this board and I in finding It really useful & it helped me out much. I am hoping to offer one thing again and help others like you helped me. Nancy, thank you for starting the contentment challenge. It was a spark of inspiration to look beyond the stuff to the core of my life. I found that the greatest gift of this challenge was actually one of time. When I stopped “shopping” I also stopped wasting time agonizing over whether or not the purchase could be justified (hint – it couldn’t) or whether or not it was the best bargain (hint – not purchasing was always cheaper). I simply stopped. There were a few purchases that were made, but because I was so present in the challenge they were made guilt free and appreciated and utilized for their intended purpose. I love the message of Sseko, but I would ask not to be included in the drawing. I just wanted to thank you for helping me to find more contentment in my world. Nancy, you are a beautiful encourager. Thank you. I’ve so loved walking through this contentment challenge (not perfectly…) knowing that there are women all over the country purposefully choosing joy and gratitude over things. I’ve been learning that my desire to impulsively buy something fades just as quickly as it comes. I can’t remember most of the tempting items I wanted to purchase over the past 3 months. That feels like freedom! I’ve also been learning that its not about quantity, it’s about quality. I don’t need things, but I want the things I do have to be purposeful. To have meaning, and to be beautiful – either in form or function. My favorite thing that I’ve learned is that holding off on buying too many unnecessary things really speaks honor to my sweet hubby the saver. This challenge has been great for our relationship! And that matters way more than all the forgotten things I could’ve bought these last three months. Since I had just found out I was pregnant when the challenge started, I wasn’t able to follow it completely… but I loved the constant reminders to look around and remember how blessed we already are! I think one of the most meaningful things for me was rethinking my closet and not complaining about having “nothing to wear,” but being creative with new outfits! I was also a lot more bold to ask to borrow maternity clothes, rather than buy everything new, which was challenging, but something I wish we did more than just this season of life!! Thanks for tackling and leading such an awesome challenge, Nancy! I tweeted about the giveaway (@meredithteasley) and posted a pic of simple joys with my sweet niece on Instagram (@meredithteasley). The Contentment Challenge was a blessing in my life! Three months without buying anything, not even a nail polish at Target really changed my life. The highlight was spending a whole week in NYC and not even going to any store, instead I focused in reconnecting with close friends and spending time reflecting in the big life decisions I had just made. Thank you Nancy for such a powerful experience and inspiration!! After completing this challenge, I have a fresh perspective on the fact that the free stuff is the best stuff! Meaningful experiences trump possessions every time. Now that the challenge is over, I am reminded of the quote that goes something like, “do not have anything in your home that you do not know to be useful or believe to be beautiful.” I want to let that guide my purchases from here on out. No more buying stuff for the sake of having more/prettier stuff, or buying something cheap and cute from Target that won’t hold up more than a couple of months when I feel like I just “need something new.” Because I don’t need it, and it only creates more clutter. Thanks for organizing this challenge and doing this giveaway Nancy! Love the mission behind these shoes, too! xoxo! I loved the contentment challenge! I was not perfect with it but I did try my hardest! The main thing that I got out of it was how much better it feels to give something than to get something! During this challenge I had a dear friend of mine go through surgery and experienced complications from it. She hasn’t been able to leave her house for fear of infection and has been really down. I have mailed her 2 care packages during this time both had accessories that were wonderful deals and i didnt want to pass up. I decided to give them to her instead and the joy I got that was 10 times better than just hanging another scarf in my closet. I have been following your contentment challenge and it is beautiful. Yesterday on instagram Lara Casey posted an image that said I need : more money, more followers, etc. , etc., and they were all crossed out and at the bottom it said Jesus. This has all really been hitting home. We just moved into our first house and I feel we need, need, need. We need new rugs, we need a new table, we need – Everything! But I’m missing it. We moved to this house to be near family – to give our daughter a neighborhood, and a back yard. We have everything. God has blessed us immensely and more than we deserve. He has led us to a place of contentment and it’s sad that our society today teaches us to not be happy in it but to constantly be wanting more, more, more. I hope to show my daughter how to be content. Thanks for your beautiful work, your inspiring words, and you kind heart. I loved the contentment challenge! And although I wasn’t perfect at it, I realized that I have enough. More than enough. I don’t even use half of the things I own in one month. When I do with less, and it opens me up to do MORE. I recently moved to a city far away from my home in Charleston, SC to begin a three month contracted position. And it’s been very hard. But I have been learning that it’s not the circumstances or where I am that lead me to contentment, instead, it’s knowing that God is sovreign and his plans cannot be thwarted. So even when I am lonely and feel like I am not making an impact, He is still working everything out for His glory and my good. Slowly but surely, my passions and the gifts and experiences He has given to me are being revealed day by day.